As the first Multiple Intelligence School in the Philippines, our school has been an advocate for the education of children through their various intelligences. As a community, we believe in raising future leaders who will use their intelligences to make a difference. 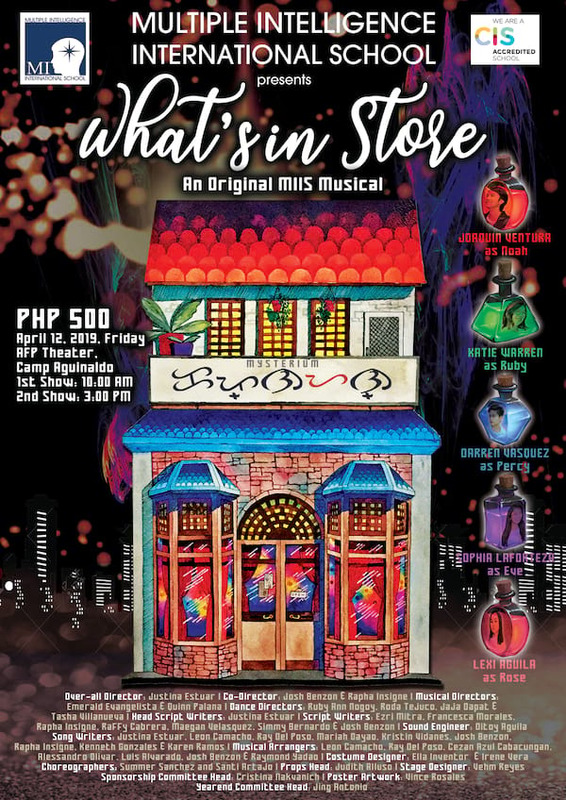 We are holding an all original musical play entitled "What's In Store" at the AFP Theater, Camp Aguinaldo, Quezon City on April 12, 10:00AM and 3:00 PM. We are celebrating 23 years of making a difference the MI way, and we would like to share with you our exciting culminating activity which will highlight the school's advocacy of inclusive growth and empowering every child to use their intelligence to make a difference. The proceeds raised from the event will help support the school's MI Kids Can! Projects.